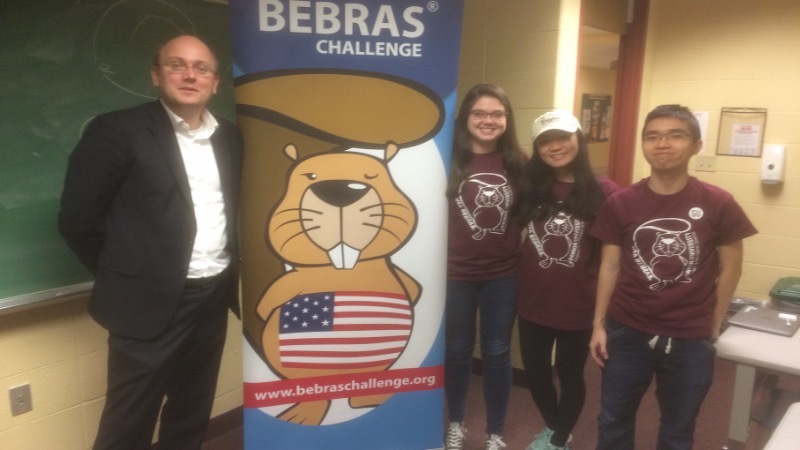 Gannon hosted the 2018-19 USA Bebras® Computational Thinking Challenge regional finals on our Erie campus on March 16, 2019. Student volunteers from the ACM club and GUBotDev helped to make this a welcoming and fun event. Student competitors traveled from all over PA, NY and OH to compete in three age brackets: grads 7-8, grades 9-10 and grades 11-12. The USA Bebras® Challenge is a free challenge designed to introduce computational thinking to middle- and high-school students. The challenges are made of a set of short problems called Bebras Tasks and are delivered on-line. The tasks are designed to be fun, engaging and based on problems that computer professionals often address and enjoy solving. The tasks can be solved without prior knowledge as they require logical thinking. The aim is to solve as many as possible within an allotted time period. The challenge can provide a focus for raising students' awareness, skills and enthusiasm for learning computational thinking skills, and is designed to beast to administer during normal school lessons. The challenge is open to anyone in grades 5-6, 7-8, 9-10, and 11-12. For more information, contact Dr. Steve Frezza at Gannon, or Eljakim Schrijvers at USA Bebras®.